USGBC’s mission is to bring the environmental and human health benefits of green buildings to all, and it is committed to accelerating the adoption of LEED in new and existing markets. LEED Earth offers certification at no cost to the first Platinum project in any country to certify using the newest version of LEED (v4). It also offers free certification to the first project to be LEED-certified in one of the more than 100 countries where LEED has yet to take root. The LEED Earth Project Pioneers series spotlights those who have set a new standard of green building leadership in their countries, sharing both the successes achieved and challenges navigated. Glumac Shanghai Office TI holds the distinction of being the first LEED v4 Platinum building in China, a country with nearly 1,670 registered projects and 787 LEED-certified projects. It is also the very first LEED v4 Platinum project in East Asia, a region boasting more than 48,198,000 gross square meters of certified space. Located in the heart of Shanghai, the 6,450-square-foot office space is a retrofit of a 100-year-old Rockefeller mansion. The project team worked to overcome many challenges specific to the project’s location: poor air quality, fractured regulatory landscape, unregulated building materials, different time zones and cultural communication. The space, which was certified under the Interior Design and Construction (ID+C) rating system for Commercial Interiors (CI), is net-positive for energy, water and carbon. It also is designed to deliver exceptional indoor air quality, with air filtered to reduce the particle count to less than one-tenth of outdoor conditions. "Glumac takes pride in our leadership in sustainability,” said Steven Straus, president of Glumac. “We appreciate our staff in Shanghai and believe that our great space, with excellent indoor air quality, contributes to their health and improves productivity of our office." 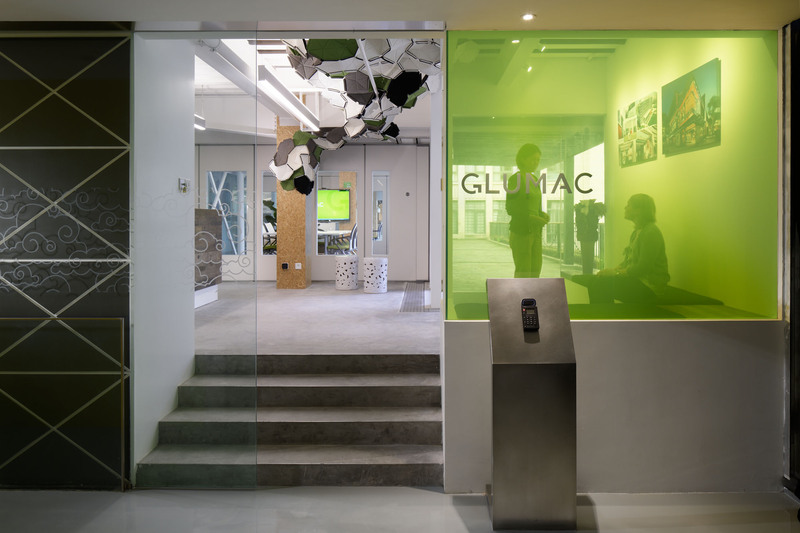 Glumac, a USGBC member at the Silver Level, is an engineering firm that specializes in energy-efficient and sustainable building technologies. The new office supports Glumac’s local presence in China and showcases advanced measures of sustainability in the built environment. Currently, there are 160 countries and territories using LEED. LEED Earth has helped catalyze green building in markets where sustainable building practices are not as prevalent, and it is an important first step in steering communities toward a more resilient, healthy and sustainable future. To date, India, China, Mexico and Canada have certified their first LEED v4 Platinum buildings. Countries that have certified their first LEED building as part of the campaign include Bolivia, Burundi, Croatia, the Dominican Republic, Ecuador, Ghana, Honduras, Kenya, Kuwait, Latvia, Lithuania, Luxembourg, Myanmar, Pakistan, Serbia, South Sudan, Tanzania, Ukraine and Venezuela.